We believe that the next wave of business innovation will be driven by the unprecedented levels of public trust that will be enabled by robust digital identities. These strong identities will be verified by authoritative sources and will use advanced privacy-preserving technologies. The Kriptan Network is a global identity network which enables real-time identity updates from trusted identity providers. Governments, banks, telcos and utilities will confirm facts about an individual or business. Real-time interactions, advanced biometric-based authentications and ground-breaking cryptography will enable businesses everywhere to rely on the information the Kriptan network provides. This global standard will reduce costs, improve interoperability, reduce crime and ensure privacy. It will open up new digital business opportunities that haven't been possible before due to prohibitively high costs and unacceptable levels of business risk. Fragmented and unreliable digital identity mechanisms are limiting growth in the global economy and adding to the costs of doing business. Removing the risks of identity fraud will enable new business innovations. Without a trusted digital identity, the private information of individuals ends up being replicated across thousands of databases. 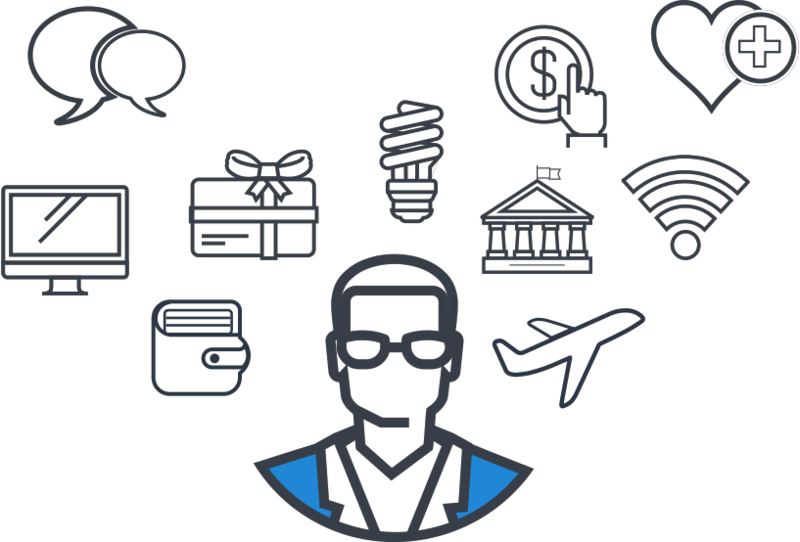 The Kriptan network puts users in charge of their own personal data. Frictionless economic activity will drive GDP growth and job creation by empowering new services. Robust identity will reduce criminal activity, reduce tax fraud and simplify regulatory oversight. Kriptan is also more than an identity network. The combined capabilities shown below work together to build one compelling feature that truly sets it apart: it allows any business or government to create their own fully-regulated digital asset. The identity network is foundational here: without it, regulated digital assets wouldn’t be possible, as the principle of Know Your Customer (KYC) is a core requirement of all regulated financial services. We build on the core identity / KYC capabilities to enable on-chain privacy with off-chain auditability. Digital asset-based incentive mechanisms will transform the business models used in every industry. We are already seeing significant interest from companies adopting digital asset-based business models. We are also aware that many governments are looking to launch digital versions of their currencies. In the near future, we also expect governments and civic organisations to experiment with new models for funding public infrastructure. What is common amongst all of these services is that they all require robust identity capabilities, advanced privacy capabilities, regulatory oversight and public trust. 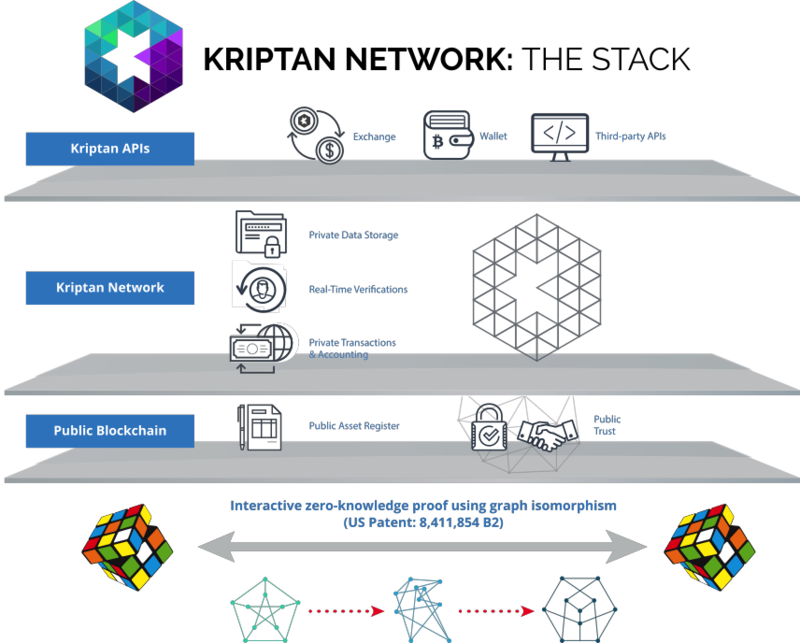 These capabilities all work together to enable the Kriptan network to provide the only unified digital asset solution available today. As it’s currently almost impossible to verify the identity of a person you are transacting with online, today we rely on third-party services who mediate trust on our behalf. This makes much of our economic activity highly inefficient. The Kriptan network removes these inefficiencies by building a layer of public trust. When users know the real identities of the people that they transact with, the risk of fraud and other criminal activities is greatly reduced. Robust KYC hinges on verification of Identity from authoritative sources. The ability to verify in real-time is needed, we believe, to eliminate fraud and other forms of criminality. KYC is a very expensive and complex process for any organisation dealing with financial transactions. The Kriptan network simplifies this process and greatly reduces the costs involved by standardising KYC services. Kriptan is designed to be private by default, but where traceability and accountability can be re-introduced when there is probable cause that illegal activity may have taken place. As no one entity on the Kriptan Network controls the full set of information required to trace transactions, this provides an extra level of data protection against both hacking attacks and corruption. However, we do provide the capabilities to ensure that once the necessary judicial orders are in place, the data can be recovered by a law enforcement agency. This process requires the authorities to request the specific data they require from multiple sources. The Kriptan Network uses an advanced from of cryptography known as Zero Knowledge Proof (ZKP). This ensures that personal data is never copied or exchanged. It allows Identity Providers to confirm information about an individual, without sharing that data with a third party. It is privacy by default. The user is always in control and can choose to share their data if they so wish. Today the world’s identity systems are completely fragmented. The technology underpinning the Kriptan Network will fuel a value-driven new Personal Information Economy (PIE), where the customer is no longer just giving their personal information away free but is now able to receive a reward. This active participation, with full consent, will generate long-term value and build loyalty between individuals and organisations with whom they choose to do business.